The results of a recent poll over at the Orlando Business Journal have led to some to cry foul, claiming that the results, which are overwhelmingly in favor of the park, are a bit "fishy." The poll, which was posted on Dec. 31, asked respondents: "Has CNN's 'Blackfish' documentary changed your perception of SeaWorld?" And despite the recent backlash sparked by the film -- which details the 2010 death of a trainer at SeaWorld -- the results of the poll were staggeringly one-sided: as of midday Dec. 2, roughly 99 percent of respondents voted in favor of SeaWorld. But imagine our surprise when we noticed that one single Internet Protocol Address (IP Address) accounted for more than 54 percent of the votes, or about 180 of the total 328 votes. IP Addresses are typically unique Internet identifiers given to a computer or series of devices - say a multi-computer network in your office. 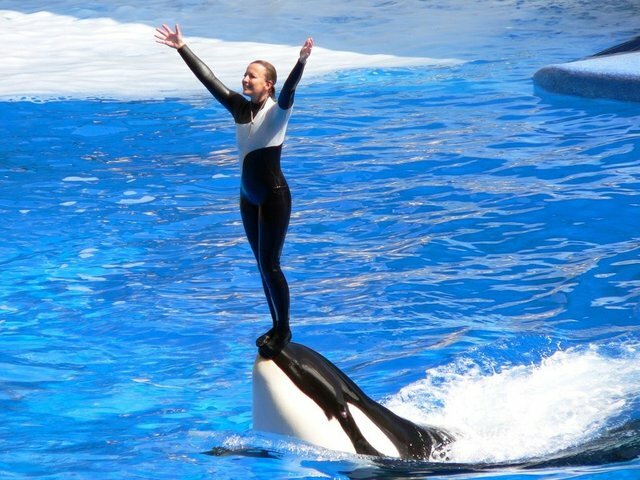 But when pressed for comment, SeaWorld revealed the reason behind their stunning victory: the company had encouraged employees to vote in the poll. When asked about the strange occurrence, a SeaWorld spokesman said his company doesn't shy away from encouraging its workers from sharing their stance on the heated documentary. "Our team members have strong feelings about their park and company, and we encourage them to make their opinions known," said SeaWorld Spokesman Nick Gollattscheck. And, as a large company with thousands of employees, it seems that SeaWorld would have no problem finding willing voters. "We have three parks and our corporate offices in Orlando. You would expect that we would have a lot of team members in Orlando - and throughout our company - who would vote. If a poll goes up regarding SeaWorld, our team members have as much a right to vote as anyone else, and vote they did. We don't have a 'bot' - each of those votes that came from SeaWorld were cast by a team member who is passionate about who we are and what we do," he said.